Gito is an intelligent young man from Burundi. 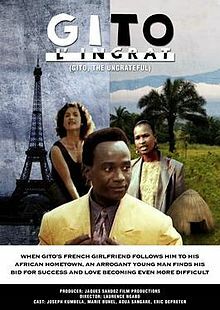 Gito was living in Paris then , he decided to go back to his country with with numerous academic degrees and ministerial ambitions,and promises his French girlfriend that he will call her when he becomes a minister, something that he is convinced that will happen. Gradually his ambitions are crushed by the daily realities of his country. Gito is tested further by the alliance between his French girlfriend and his old sweetheart who join forces to teach Gito an unforgettable lesson. Nevertheless, he will make the best of a bad deal, with the help of the two women of his life.